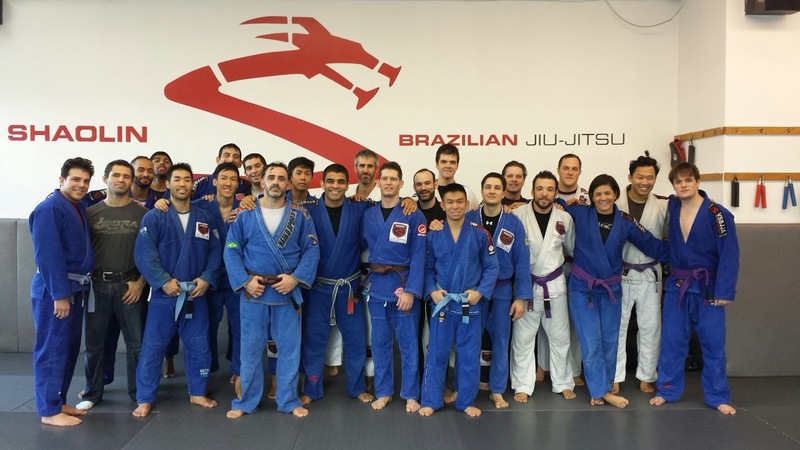 Congrats to the new Brown Belts! 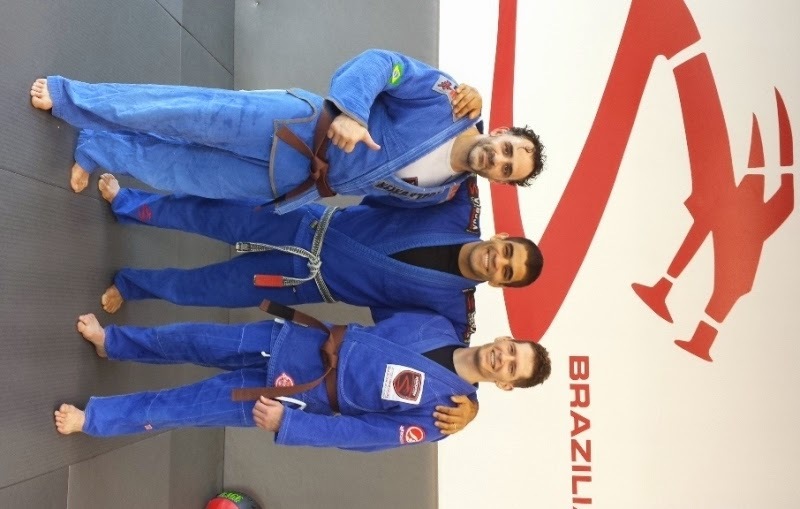 Big congratulations to Mike and Patrick for a very well earned Brown Belt! Today's test was a tough one, and they earned every single part of the promotion. "Today's test had a good group of guys to support and push you to your best. Getting to Brown or Black means that you have the right group of people around you to help you get there." Thanks for all the support throughout the years, and looking forward to growing and building for the next many more! Congratulations again! Pictures from the test are HERE! 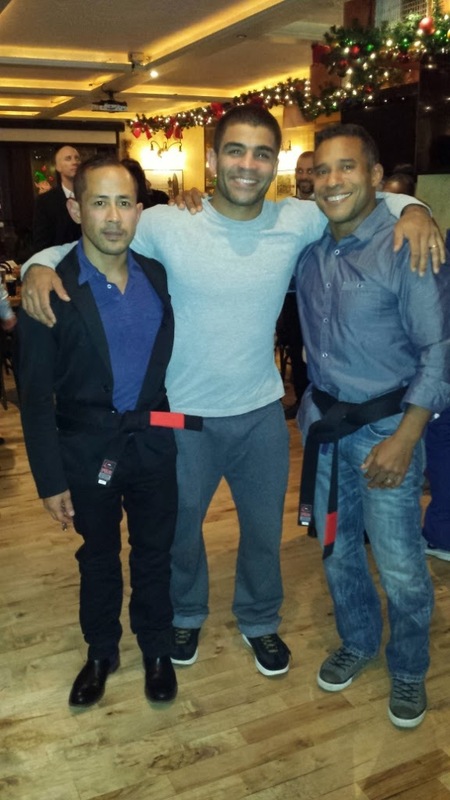 Congratulations to Julio and Evor for their Black Belts! 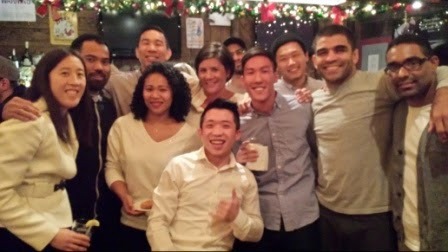 This year's holiday party at Quinn's was a special one, with not just 1, but 2 new Black Belt promotions by Shaolin! Julio, affiliate owner of Omni Martial Arts, once a colleague and very long time friend was promoted along side with Evor, Shaolin's very first Black Belt from White to Black! Both received it in complete surprise and there was an interesting mix of emotions from the two as you can see in the video! 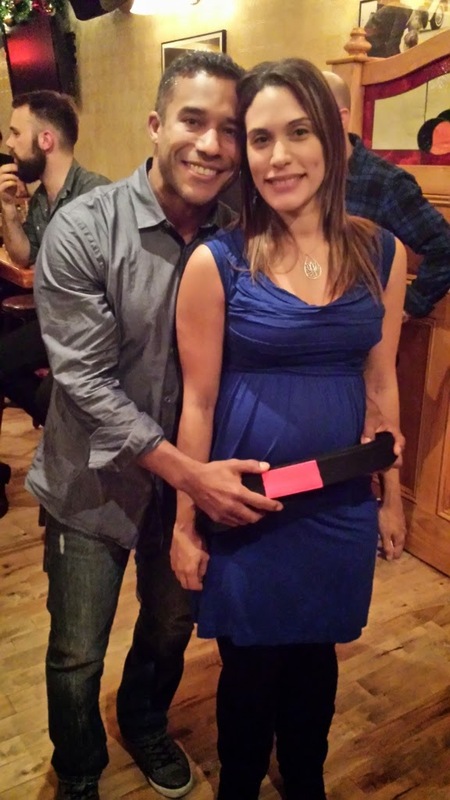 It was a special night for Julio, as he and his wife are expecting their first baby! A very well earned promotion by both and we look forward to the start of their journey! 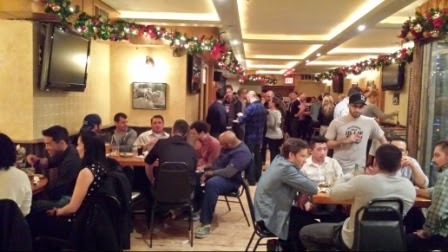 You can see more photos from the party below! 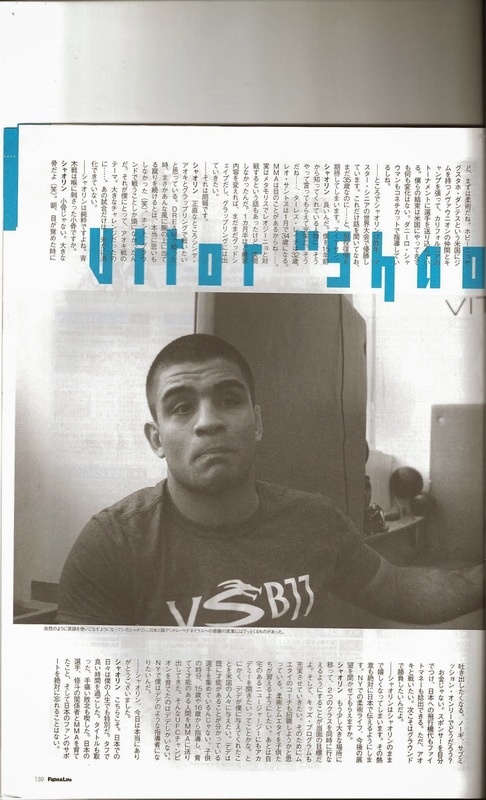 On 10.18.14, Vitor Shaolin was in the main event for a superfight with Nino Schembri. Both are former champions who now run successful academies in America. Shaolin was able to come out victorious with a score of 8-0. "This match was scheduled for 15 minutes under IBJJF rules. In the final super fight of the night, Vitor "Shaolin" strategically pulled Nino into his classic half-guard position with the one knee shield. During the many half-guard passing attempts by Nino, Vitor went on the attack to make the first sweep in typical Shaolin fashion quickly transitioning from the half-guard sweep position to a standing takedown gaining the first 2 points. The rest of the match was mostly closed guard action for Nino having Shaolin opening and attempting to pass. Vitor racked up points in the stand up position with additional takedowns. The final score after 15 minutes was 8 to 0 with Shaolin's hand going up by the referee." Also, big congratulations to Shaolin's good friend Robson Moura who was able to win in the co-main event with a beautiful choke. For those of you who have been training in the main academy, you may have taken a few classes with guest instructor Caju. 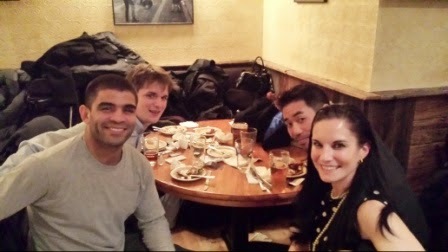 Caju flew out to California with Shaolin and competed in the Long Beach Open where he won his division. Congratulations to all who tested today! We are so proud to have such a talented and supportive family at VSBJJA. 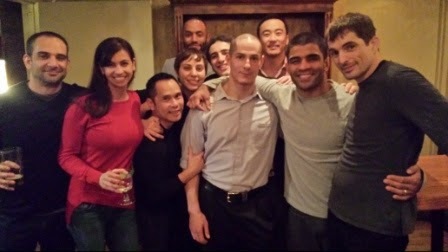 And a special shout out to all those from Bronx Jiu Jitsu who shared in the celebration! Congratulations on a job well done and a belt well deserved. Let's keep training hard and keep taking it to the next level! Check out the rest of the pictures below! Check out VSBJJA's very own Stan Parish! 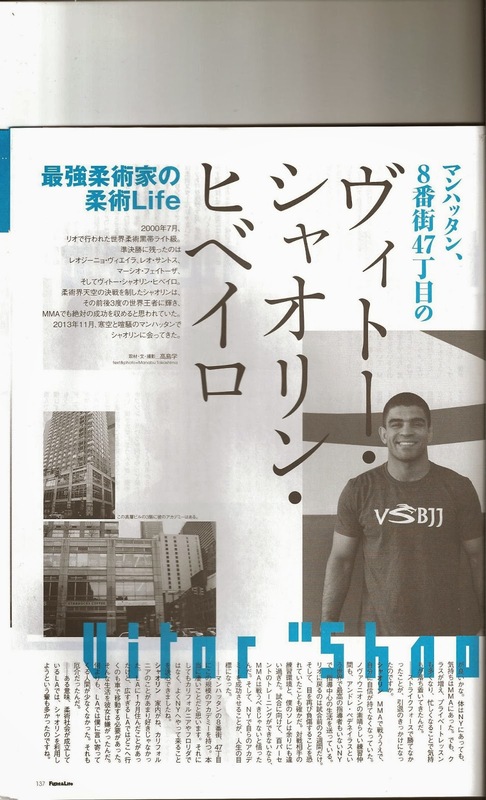 Purple belt and long time student and friend of Vitor Shaolin's BJJ Academy, Stan Parish, is very dapper in Harry's Magazine, Five O' Clock! 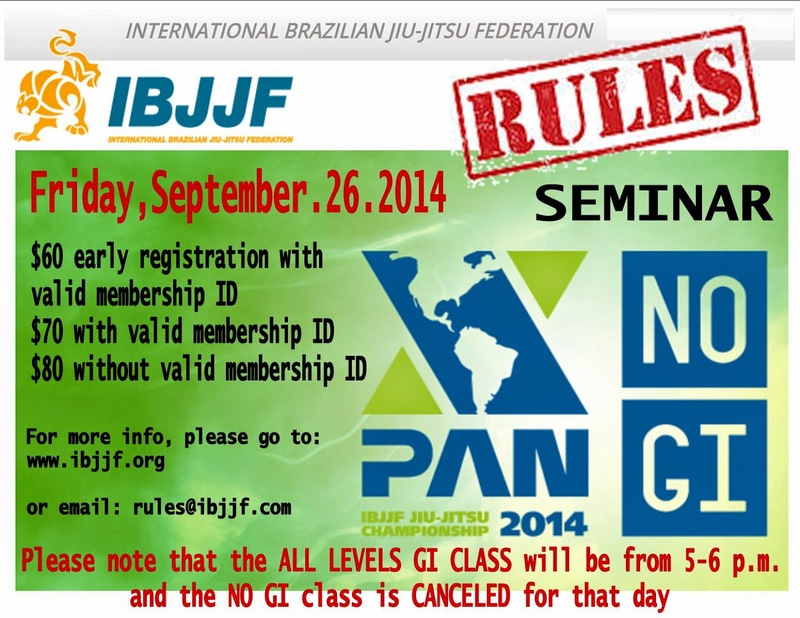 Hey guys, we are happy to announce that the main academy will be hosting the IBJJF Rules Seminar. 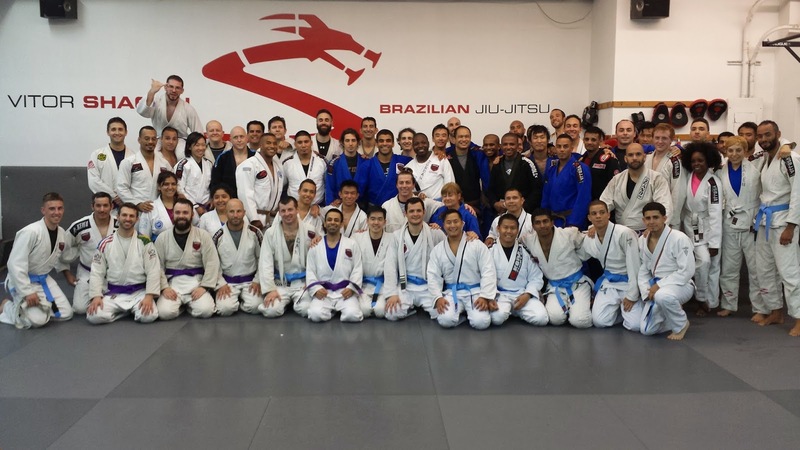 At Vitor Shaolin's academy, we abide by the rules set by the IBJJF. For safety purposes, some things are deemed illegal so if you are ever wondering what to do or not to do, this will be a good opportunity for you. 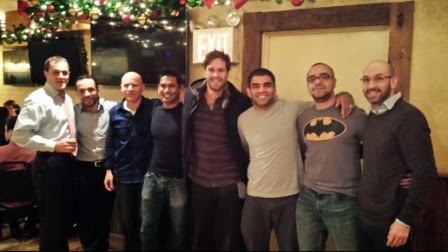 Last week Shlomi conducted an amazing self defense seminar. It dealt with awareness as well as knife and gun defense. Shlomi is a very well rounded martial artist who has been training for over 30 years and we were lucky enough to have him share some of his techniques with us. In the end of the seminar, in front of over 40 of those in attendance, Shaolin suprised Shlomi with a brown belt! Those who have trained with him know how well deserved it is. Several athletes from the academy did well. Shaolin is to make his UFC debut as a referee on July 16 in Atlantic City! 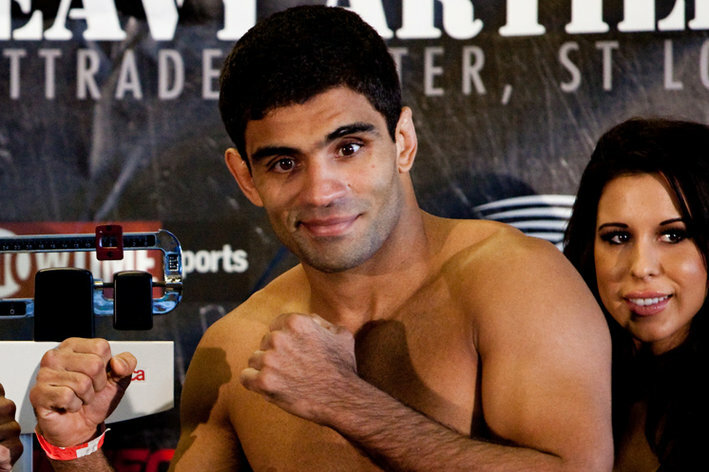 Vitor Ribeiro will enter the Octagon later this month, but he won’t do it as a fighter. "Shaolin," a former Shooto and Cage Rage 155-pound champion, will referee a UFC fight for the first time at the UFC Fight Night 45 card in Atlantic City, N.J., on July 16, and he’s anxious to step inside the Octagon. 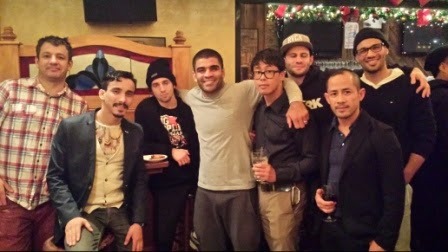 "I’m excited," Ribeiro told MMAFighting.com. "I have a lot experience as a referee in Brazil, but I worked at some amateur events in New Jersey, and recently worked at a professional event in May, so they decided to put me on the preliminary card of the UFC." 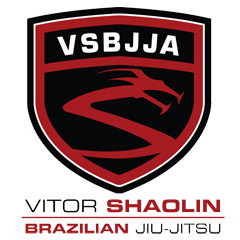 "Shaolin" worked in more than a dozen MMA fights in Brazil and got a license to referee fights at the New Jersey State Athletic Control Board in late-2013. According to the MMA veteran, he worked in approximately 25 fights in the United States before getting the call to step in the Octagon. Ribeiro, who has been the appointed referee for Jessamyn Duke vs. Leslie Smith and Yosdenis Cedeno vs. Jerrod Sanders at UFN 45, says that being a MMA veteran is not the only solution to fix judging errors. "Being an ex-fighter is not the only solution. It helps, but you have situations where you have to use a replay, for an example," he said. "NFL and soccer are starting to use some technology now, and it helps a lot. That’s the way. But, until we get to that point, being a former MMA fighter helps a lot. "It’s interesting to have someone with more knowledge on the grappling area, someone that knows what’s going on there," he continued. "(Ricardo Almeida) is a judge now, I’m a referee, so we’ll slowly advance in that area so we can let fighters work. "Sometimes you can stop a fight earlier if you play only by the rules. You have to follow the rules, but you have to let them fight. We have good judges and good referees, like Herb Dean and Big John, but some don’t do a good job. I think the commission should also do some training." Congratulations to all new belts! 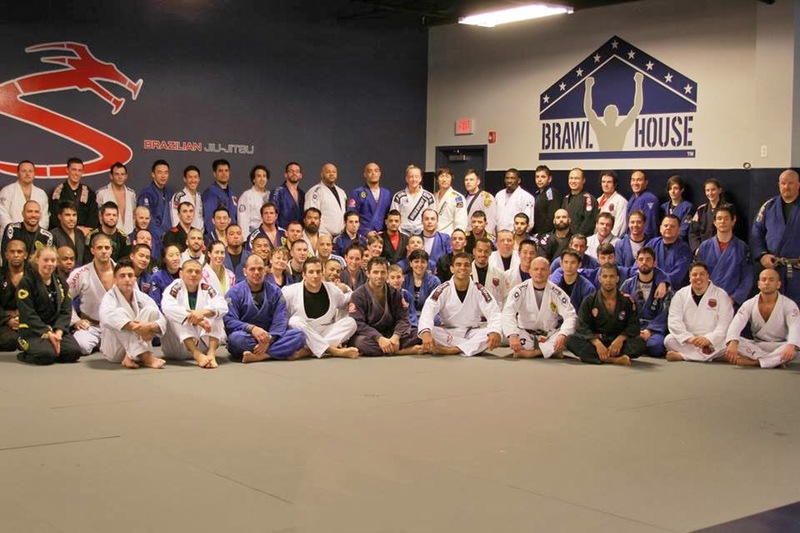 We had an excellent showing last night for the belt test! 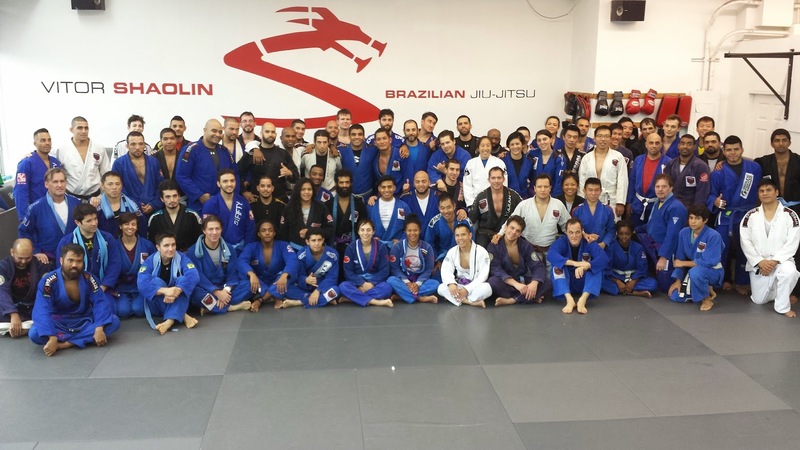 Congratulations to all new belts and from our affiliates, Omni Martial Arts and Bronx Jiu Jitsu! We look forward to your journey to Black Belt! April was a busy month, May up ahead! 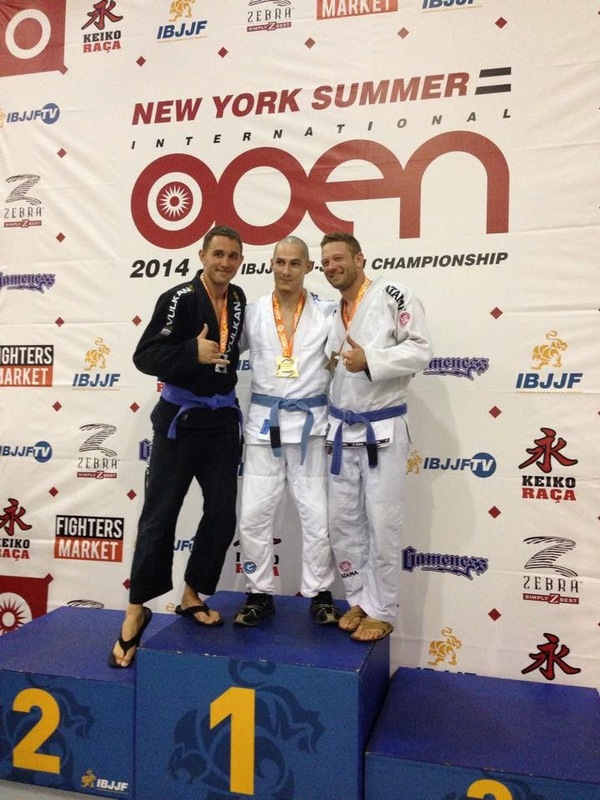 In April, Vitor Shaolin BJJ represented at both the Boston Open as well as the New York Open. We did not have too many members competing, but several of those who did brought back some medals. If you competed and did not reach your goals, were not ready enough to compete, are now motivated to go out there, there is still time in May. 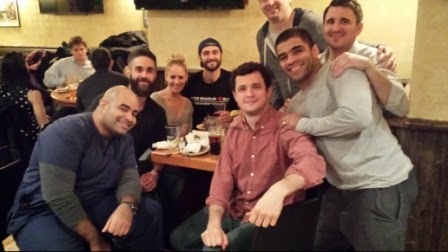 The Big Apple BJJ Open is on May 17th, so there is still a few weeks to train to be ready. 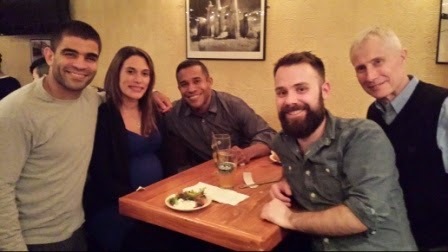 Big Apple BJJ Open : 5.17.14 -- Save the date! 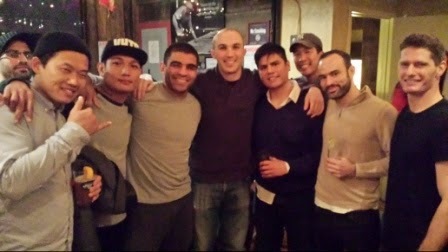 The Big Apple BJJ Open is happening again! Something from the past accompanies something brand new. First, lets go back in time to when Shaolin fought Paulo Filho in a blue belt absolute division. 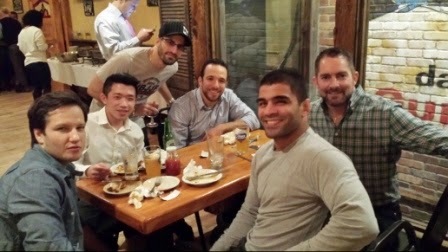 Thanks to GracieMag for the article! 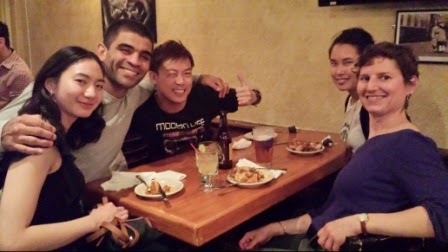 The arm triangle is a submission that many members of Nova Uniao have had success with. These days, the major standouts of Nova Uniao in MMA are such names as Jose Aldo, Marcos Loro, Renan Barao and Marlon Sandro. 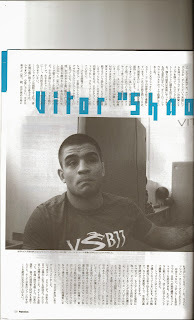 A few years ago, Vitor Shaolin had quite a few submission victories with the arm triangle choke. It is very simple, and very effective. Take a look at This Article (Click Here) to read about some history as well as see examples of Shaolin using the arm triangle in some of his fights. Enjoy, and we hope your training in the new year is going well! Huge Congratulations to Association Member Dave Tester! Dave Tester has been training in the martial arts for over 35 years. He is a well rounded martial artist who holds black belts in several different martial arts including Tae Kwon Do, Kempo Karate, Ki Do Kwan as well as Ao Denkou Kai Jitsu. To add to his already impressive resume, Dave recently attained his black belt in Brazilian Jiu-Jitsu under Vitor Shaolin. 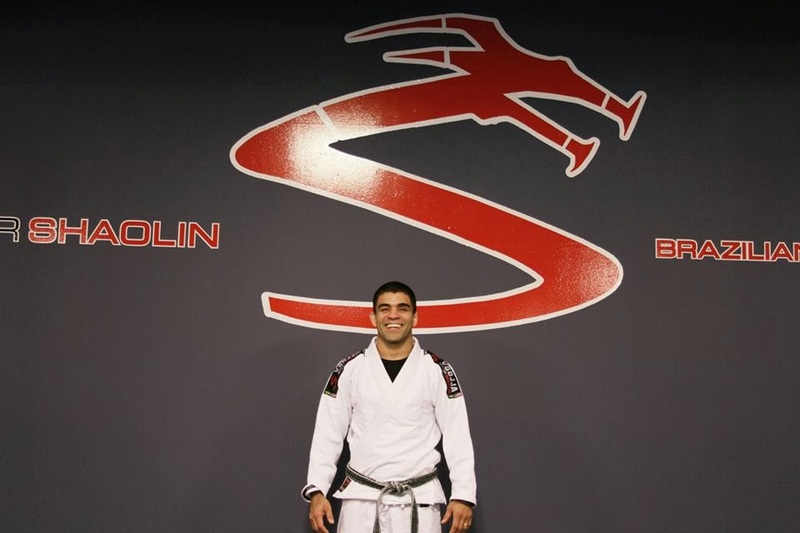 Dave has been training in Brazilian Jiu-Jitsu since the year 2000, and has joined Vitor Shaolin's affiliation in 2009. 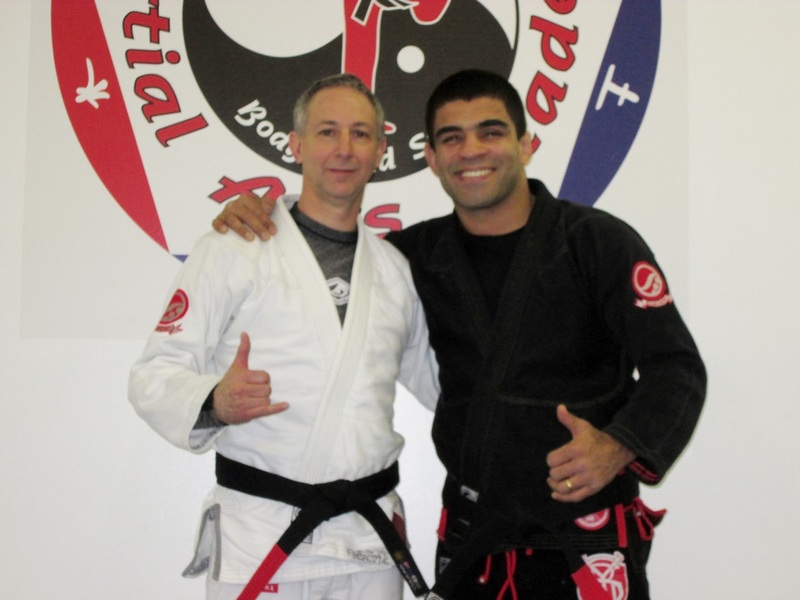 We send Dave a huge congratulations and know that he will be representing well with his new belt. If you are ever in Ohio, make sure to stop by! Shaolin was featured as one of the 5 practitioners of the sport that should be known. Thank you to BJJ Rants for this article, which is composed of some interesting videos as well as pictures. Please check it out below! 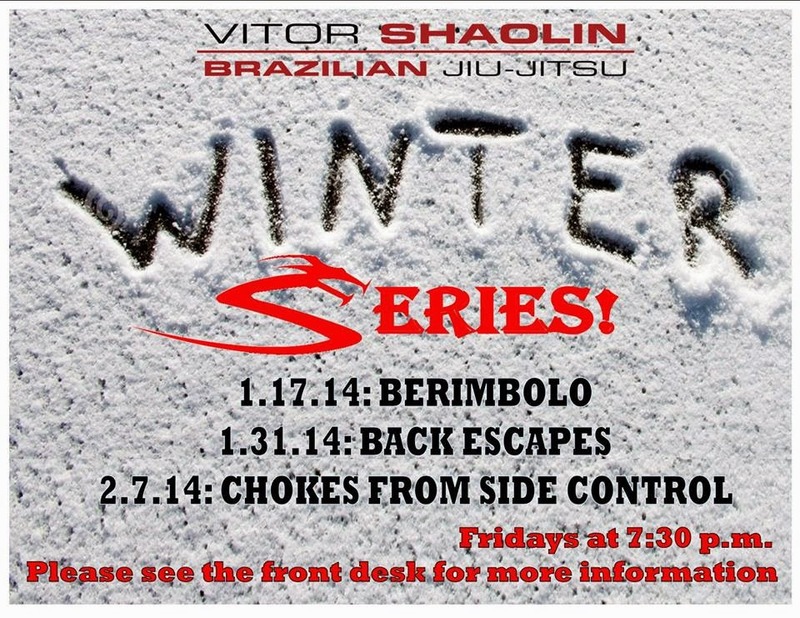 We hope you join us for our Winter Series. For more info, you can visit the front desk or call the school at 212.957.4045. 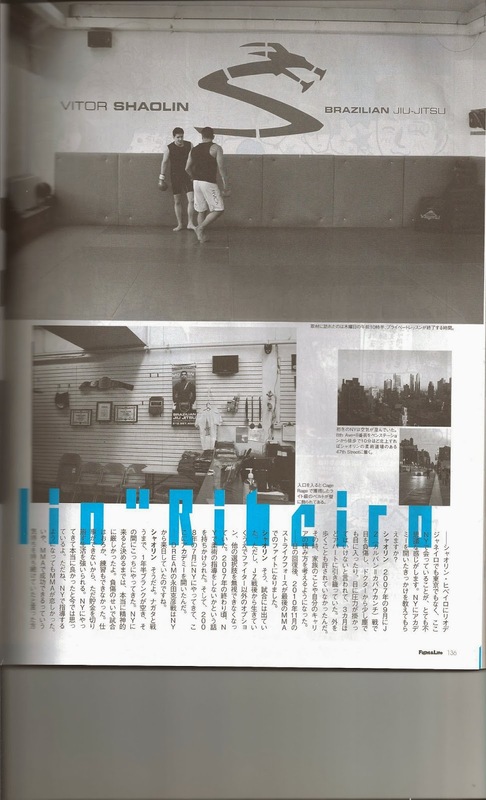 In this month's issue of famous Japanese Martial Arts Magazine Fight + Life, Shaolin has four pages dedicated to pictures and interviews about his NYC Academy. Having many fights in Japan, Shaolin is well respected over there and we are very proud to be in this magazine. 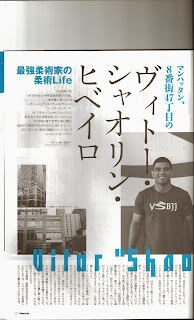 If you speak Japanese, be sure to pick up a copy!